The Dash 8 was developed from the de Havilland Canada Dash 7, which featured extreme short take-off and landing (STOL) performance. With the Dash 8, DHC focused on improving cruise performance and lowering operational costs. The engine chosen was the Pratt & Whitney Canada PW100. The aircraft has been delivered in four series. The Series 100 has a maximum capacity of 39, the Series 200 has the same capacity but offers more powerful engines, the Series 300 is a stretched, 50-seat version, and the Series 400 is further stretched to 78 passengers. Models delivered after 1997 have cabin noise suppression and are designated with the prefix "Q". Production of the Series 100 ceased in 2005, and the Q200 and Q300 in 2009. Bombardier is considering launching a stretched version of the Q400. In the 1970s, de Havilland Canada had invested heavily in its Dash 7 project, concentrating on STOL and short-field performance, the company's traditional area of expertise. Using four medium-power engines with large four-bladed propellers resulted in very low noise levels which, combined with its excellent STOL characteristics, made the Dash 7 suitable for operating from small in-city airports, a market DHC felt would be compelling. However, only a handful of air carriers employed the Dash 7, as most regional airlines were more interested in operational costs than short-field performance. In 1980, de Havilland responded by dropping the short-field performance requirement and adapting the basic Dash 7 layout to use only two, more powerful engines. Its favoured engine supplier, Pratt & Whitney Canada, developed the new PW100 series engines for the role, more than doubling the power from its PT6. Originally designated the PT7A-2R engine, it later became the PW120. When the Dash 8 rolled out on April 19, 1983, more than 3,800 hours of testing had been accumulated over two years on five PW100 series test engines. Certification of the PW120 followed in late 1983. Distinguishing features of the Dash 8 design are the large T-tail intended to keep the tail free of prop wash during takeoff, a very high aspect ratio wing, the elongated engine nacelles also holding the rearward-folding landing gear, and the pointed nose profile. First flight was on June 20, 1983, and the airliner entered service in 1984 with NorOntair. In 1984, Piedmont Airlines, formerly Henson Airlines, was the first US customer for the Dash 8. The Dash 8 design has better cruise performance than the Dash 7, is less expensive to operate and much less expensive to maintain, due largely to having only two engines. The Dash 8 has the lowest cost per passenger mile of any regional airliner of the era. It was a little noisier than the Dash 7 and could not match the STOL performance of its earlier DHC forebears, although it was still able to operate from small airports with 3,000 ft (910 m) runways, compared to the 2,200 ft (670 m) required by a fully loaded Dash 7. In April 2008, Bombardier announced that production of the Classic versions (Series 100, 200, 300) would be ended, leaving the Series 400 as the only Dash 8 still in production. 671 Dash 8 Classics were produced, the last one delivered to Air Nelson in May 2008. Bombardier proposed development of a 90-seat stretch of the Q400 with two plug-in segments, called the Q400X project, in 2007. In response to this project, as of November 2014[update], ATR was studying a 90-seat stretch. In June 2009, Bombardier commercial aircraft president Gary Scott indicated that the Q400X will be "definitely part of our future" for possible introduction in 2013–14, although he has not detailed the size of the proposed version or committed to an introduction date. As of July 2010, Bombardier's vice president, Phillipe Poutissou made comments explaining the company was still studying the prospects of designing the Q400X and talking with potential customers. At the time, Bombardier was not as committed to the Q400X as it had been previously. As of May 2011, Bombardier was still strongly committed to the stretch, but envisioned it as more likely as a 2015 or later launch, complicating launch date matters were new powerplants to come online in 2016 from GE and PWC. As of February 2012, Bombardier was still studying the issue, however as of 2011, launch date is no longer targeted for the 2014 range. At least a three-year delay was envisioned. In October 2012, a joint development deal with a government-led South Korean consortium was revealed, to develop a 90-seater turboprop regional airliner, targeting a 2019 launch date. The consortium would include Korea Aerospace Industries and Korean Air Lines. Croatia Airlines Bombardier Dash 8 Q400 takeoff. Planform view of a Flybe Q400 take off, showing the high aspect ratio wings, the slender nacelles (containing the main undercarriage) and the pointed nose. In 1988, Boeing bought the company in a bid to improve production at DHC's Downsview Airport plants, as well as better position itself to compete for a new Air Canada order for large intercontinental airliners. Air Canada was a Crown corporation at the time, and both Boeing and Airbus were competing heavily via political channels for the contract. It was eventually won by Airbus, which received an order for 34 A320 aircraft in a highly controversial move. The allegations of bribery are today known as the Airbus affair. Following its failure in the competition, Boeing immediately put de Havilland Canada up for sale. The company was eventually purchased by Bombardier in 1992. The introduction of the regional jet altered the sales picture. Although more expensive than turboprops, regional jets allow airlines to operate passenger services on routes not suitable for turboprops. Turboprop aircraft have lower fuel consumption and can operate from shorter runways than regional jets, but have higher engine maintenance costs, shorter ranges and lower cruising speeds. The market for new aircraft to replace existing turboprops once again grew in the mid-1990s, and DHC responded with the improved "Series 400" design. When world oil prices drove up short-haul airfares in 2006, an increasing number of airlines that had bought regional jets began to reassess turboprop regional airliners, which use about 30–60% less fuel than regional jets. Although the market does not appear to be as robust as in the 1980s when the first Dash 8s were introduced, 2007 saw increased sales of the only two 40+ seat regional turboprops still in western production, Bombardier's Q400 and its competitor, the ATR series of 50–70 seat turboprops. The Q400 has a cruising speed close to that of most regional jets, and its mature engines and systems require less frequent maintenance, reducing its disadvantage. According to Bombardier marketing, the aircraft breaks even with about 1/3 of its seats filled (or 1/4 with more closely spaced seats), making it particularly attractive on routes with varying passenger numbers where many seats would be empty on some flights. For example, Island Air in Hawaii calculated that the use of a 50-seat Regional Jet would break even at 45 passenger seats compared to the Q400's 35–36 seats (around 55% breakeven load factor). Most short-haul routes are less than 350 miles (500 km), so the time spent on taxiing, takeoff and landing virtually eliminates a competing jet's speed advantage. As the Q400's 360 knot (414 mph, 667 km/h) cruise speed approaches jet speeds, short-haul airlines can usually replace a regional jet with a Q400 without changing their gate-to-gate schedules. Bombardier has singled out the Q400 for more aggressive marketing, launching a website centered around the aircraft. The aircraft is also being considered for a further stretched version (currently designated Q400X) to compete in the 90-seat market range. Bombardier commercial aircraft president Gary Scott has affirmed that 2013–2014 is "the sort of time period we're looking at today" for offering a stretched version of the Q400 turboprop. Growing competition in the turboprop market from ATR has meant that Bombardier needs to plan as well. A 'stretched' turboprop is “definitely on [Bombardier’s] radar screen”, according to VP of sales and asset management Rob Sheridan, who was speaking at the International Society of Transport Aircraft Trading (ISTAT 2013 ) Americas conference. Original 37–39 passenger version that entered service in 1984. The original engine was the PW120A (CAA validated on December 13, 1985); later units used the PW121 (CAA validated on February 22, 1990). Rated engine power is 1,800 shp (1,340 kW). 1984 variant powered by either two PW120 or PW120A engines and a 33,000 lb (15,000 kg) takeoff weight. 1986 variant powered by either two PW120A or PW121 engines and a 34,500 lb (15,650 kg) takeoff weight. 1990 variant powered by two PW120A engines with revised Heath Tecna interior. 1992 variant powered by two PW121 engines and a 36,300 lb (16,450 kg) takeoff weight. Two aircraft for Maritime Pollution Surveillance, operated by Transport Canada, equipped with the MSS 6000 Surveillance system. Military transport version for the Canadian Forces in Europe. A United States Air Force range control aircraft equipped with AN/APS-143(V)-1 radar that operates out of Tyndall AFB, Florida to ensure that the overwater military ranges in the Gulf of Mexico are clear of civilian boats and aircraft during live fire tests of air-launched missiles and other hazardous military activities. Two aircraft are assigned to the 82d Aerial Targets Squadron for the support of training missions. An E-9 can detect a person in a life raft in the water up to 25 miles away. Series 100 airframe with more powerful Pratt & Whitney Canada PW123 engines (rated at 2,150 shp or 1,600 kW) for improved performance also capable of carrying 37 to 39 passengers. 1995 variant powered by two PW123C engines. 1995 variant powered by two PW123D engines. Version of the DHC-8-200 with the ANVS system. Stretched 3.43 metres (11.3 ft) over the Series 100/200, a 50–56 passenger version that entered service in 1989. The Q300 is powered by the Pratt & Whitney PW123 or PW123B or PW123E, rated at 2,380–2,500 shp or 1,774–1,864 kW. 1990 variant powered by two PW123A engines with revised Heath Tecna interior. Version of the DHC-8-300 with increased payload. Version of the DHC-8-300 with the ANVS system. Upgraded variant with L3 for maritime surveillance platform. 1999 variant with a maximum of 68 passengers. 1999 variant with a maximum of 70 passengers. 1999 variant with a maximum of 78 passengers. Stretched and improved 70–78 passenger version that entered service in 2000. Its 360 knot (667 km/h) cruise speed is 60–90 knots (111–166 km/h) higher than its competitors/predecessors. Powered by PW150A engines rated at 5,071 shp (3,781 kW) at maximum power (4,850 shp or 3,620 kW maximum continuous rated). The maximum operating altitude is 25,000 ft (7,600 m) for the standard version, although a version with drop-down oxygen masks is offered, which increases maximum operating altitude to 27,000 ft (8,200 m). All Q400s include the ANVS system. Version of the Q400 with updated cabins, lighting, windows, overhead bins, landing gear, as well as reduced fuel and maintenance costs. 2 Q400 adapted to the water bombing role by Cascade Aerospace for the French Sécurité Civile. The tanker mode can carry 2,600 U.S. gallon of retardant, foam or water and travel at 340 knots. 2007 converted for use as a maritime patrol aircraft. 2008 converted pallet freighter variant with a payload of 9000 kg. 18 June 2013 Horizon Air 3 7 Still has options for up to 7 more. Ordered to supplement new service between ANC and FAI. 1 May 2012 WestJet 20 25 Ordered for WestJet's new regional feeder airline called WestJet Encore. November 21, 1990: a Bangkok Airways DHC-8-103 crashed on Koh Samui while attempting to land in heavy rain and high winds. All 38 people on board died. January 6, 1993: Lufthansa Cityline Flight 5634 crashed short of the runway near Paris-Charles de Gaulle Airport, France. The crash killed four out of 23 passengers and crew. June 9, 1995: Ansett New Zealand Flight 703, a Dash 8–102 flying from Auckland Airport to Palmerston North crashed on the western slopes of the Tararua Ranges and 16 km east of Palmerston North Airport during an instrument approach in inclement weather; four occupants were killed. February 12, 2009: Colgan Air Flight 3407 a Q400, from Newark Liberty International Airport to Buffalo Niagara International Airport, stalled and crashed into a house in Clarence Center, New York, while preparing to land at the airport. All 49 people on board, including four crew (and one off duty pilot), in addition to one person on the ground, were killed. Two other people on the ground received minor injuries. The National Transportation Safety Board determined that the aircraft had no known mechanical or computer malfunctions (including the auto-pilot), and pilot error, including a "startle and confusion" response by the captain, was the primary contributor to the accident. November 23, 2009: a DHC-8-200, being operated on behalf of United States Africa Command, made an emergency landing at Tarakigné, Mali and was substantially damaged when the undercarriage collapsed and the starboard wing was ripped off. The incident was caused by the aircraft running out of fuel 29 seconds prior to the forced landing. The captain had opted not to refuel at the previous departure airport. October 13, 2011: an Airlines PNG Dash 8–102, registration P2-MCJ, crashed about 20 km south of Madang in Papua New Guinea while en route from Lae with 32 people on board. The aircraft subsequently ignited, resulting in 28 deaths. Both pilots, as well as a flight attendant and a passenger, survived. Following the accident, Airlines PNG grounded its fleet of 12 Dash 8 aircraft. April 9, 2012: Air Tanzania Dash 8 5H-MWG was written off at Kigoma Airport, Tanzania in an aborted take off. All 39 people on board survived. In September 2007, two separate incidents of similar landing gear failures occurred within four days of each other on SAS Dash 8-Q400 aircraft. A third incident occurred in October 2007, leading to the withdrawal of the type from the airline's fleet. On September 9, 2007 the crew of Scandinavian Airlines (SAS) Flight 1209, en route from Copenhagen to Aalborg, reported problems with the locking mechanism of the right side landing gear, and Aalborg Airport was prepared for an emergency landing. Shortly after touchdown the right main gear collapsed and the airliner skidded off the runway while fragments of the right propeller shot against the cabin and the right engine caught fire. Of 69 passengers and four crew on board, 11 were sent to hospital, five with only minor injuries. The accident was filmed by a local news channel (TV2-Nord) and broadcast live on national television. Three days later on September 12, Scandinavian Airlines Flight 2748 from Copenhagen to Palanga had a similar problem with the landing gear, forcing the aircraft to land in Vilnius. No passengers or crew were injured. Immediately after this incident SAS grounded all 33 Q400 airliners in its fleet and, a few hours later, Bombardier recommended that all Q400s with more than 10,000 flights be grounded until further notice. This affected about 60 aircraft, out of 140 Q400s then in service. On October 27, 2007, Scandinavian Airlines Flight 2867 en route from Bergen to Copenhagen had severe problems with the landing gear during landing in Kastrup Airport. The right wing gear did not deploy properly (or partially), and the aircraft skidded off the runway in a controlled emergency landing. The Q400 was carrying 38 passengers, two infants and four crew members on board. No injuries were reported. The next day, SAS permanently removed its entire Dash 8 Q400 fleet from service. In a press release on October 28, 2007, the company's president said: "Confidence in the Q400 has diminished considerably and our customers are becoming increasingly doubtful about flying in this type of aircraft. Accordingly, with the Board of Directors' approval, I have decided to immediately remove Dash 8 Q400 aircraft from service." The preliminary Danish investigation determined the latest Q400 incident was unrelated to the airline's earlier corrosion problems, in this particular case caused by a misplaced O-ring found blocking the orifice in the restrictor valve. In all, eight Q400s had landing gear failures while landing during 2007: four in Denmark, one in Germany, one in Japan, one in Lithuania and one in South Korea. In November 2007, it was revealed that the Swedish Civil Aviation Administration had begun an investigation and as a result found Scandinavian Airlines System culpable of corner-cutting in its maintenance department. The airline reportedly made 2,300 flights in which safety equipment was not up to standard. On March 10, 2008, SAS ordered 27 more aircraft from Bombardier in a compensation deal; 14 Q400 NextGen turboprops and 13 CRJ900 jets. ↑ 1.0 1.1 "Commercial Aircraft Program Status Reports – Bombardier Q-Series." Bombardier. ↑ 2.0 2.1 "Production and cost information." Deagle.com. Retrieved: December 24, 2009. ↑ "Bombardier Celebrates Aviation Milestones: 1,000th Dash 8/Q-Series Turboprop and 400th Global Business Jet." bombardier.com, November 12, 2010. Retrieved: November 13, 2010. ↑ Aviation Week & Space Technology, October 29, 2007, p. 65. ↑ 5.0 5.1 Eden 2008, p. 119. ↑ "Dash 8: Complete list." Airfleets.net. Retrieved: December 24, 2009. ↑ Masters, Coco. "Giving Props to the New Turbos." Time, August 23, 2007. Retrieved: February 13, 2009. ↑ Kingsley-Jones, Max. "ATR floats idea of stretched model to tackle 90-seat sector". Flight International, November 14, 2007. Retrieved: February 13, 2009. ↑ Kirby, Mary. "Paris Air Show: Bombardier says Q400X 'definitely part of our future'." flightglobal.com, June 2009. Retrieved: June 16, 2009. ↑ Ranson, Lori. "Farnborough: Bombardier noncommittal on timing of Q400X." Flightglobal, July 26, 2010. Retrieved: December 8, 2011. ↑ Ranson, Lori. 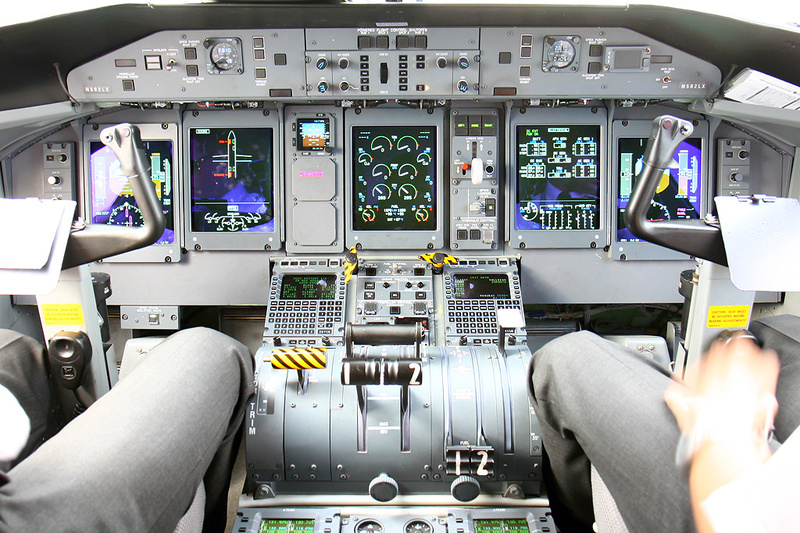 "Bombardier sees post-2015 entry for stretched Q400." Flight International, May 26, 2011; Retrieved: September 29, 2012. ↑ Trimble, Stephen. "In focus: Turboprop engine duel strikes up for 90-seater." Flight International, February 27, 2012. Retrieved: September 29, 2012. ↑ Choi, Kyong-Ae. "South Korea Consortium in Talks With Bombardier About Developing Passenger Plane -Source. "[dead link] Wall Street Journal, October 8, 2012. Retrieved: October 10, 2012. ↑ "Bombardier to discontinue Q200/Q300 in 2009." Flight Global, April 8, 2008. Retrieved: April 9, 2008. ↑ Burgner, Norbert. "Dornier 328 Jet: The "Real" regional jet? "[dead link] Flug Review, March 30, 1997. Retrieved: December 24, 2009. ↑ Masters, Coco. "Giving Props to the New Turbos." Time magazine, November 16, 2008. Retrieved: April 11, 2009. ↑ "Q400 Performance. "[dead link] q400.com. Retrieved: 10 August 2010. Quote accompanying performance charts: "The Q400's exceptional cruise speed, placing it on a par with jet block times up to over 400 miles (640 km), provides the flexibility needed to fly longer sectors." ↑ "Bombardier Q400" q400nextgen.com. Retrieved: June 4, 2013. ↑ Kingsley-Jones, Max. "Dubai 2007: ATR floats idea of stretched model to tackle 90-seat sector." Flight International, November 16, 2008. Retrieved: April 11, 2009. ↑ Sobie, Brendan. "Bombardier still studying Q400X." flightglobal.com, 9 September 2008. Retrieved: March 27, 2010. ↑ "UBM Aviation News". Ubm-aviation.msgfocus.com. http://ubm-aviation.msgfocus.com/q/1N1CzJalNUOVrd/wv. Retrieved 2013-08-16. ↑ "Three MSS 6000 Systems for Canada. "[dead link] Swedish Space Corporation, July 2010. Retrieved: July 29, 2010. ↑ "CT142 Dash-8. "[dead link] Department of National Defence, March 2007. Retrieved: July 29, 2010. ↑ Davis, Staff Sgt. Bennie J. III. "E-9A crews survey gulf, track missiles. "[dead link] USAF. Retrieved: October 22, 2008. ↑ "Air Cache: Dash 8." air.blastmagazine.com. Retrieved: January 5, 2013. ↑ "Q400 Air Tanker Conversion." cascadeaerospace.com. Retrieved: August 10, 2010. ↑ Koh "Samui crash." planecrashinfo.com. Retrieved: December 24, 2009. ↑ "Accident Report: de Havilland Canada DHC-8-3110, January 6, 1993." Aviation Safety Network. Retrieved: July 17, 2011. ↑ "'Ice build-up' on crashed plane." BBC, February 14, 2009. Retrieved: July 17, 2011. ↑ "Plane crash in NY state kills 49." BBC News, February 13, 2009. Retrieved: August 15, 2009. ↑ "Pilot error caused 2009 crash near Buffalo, NTSB rules." CNN, 2 February 2010. ↑ Grady, Mary. "NTSB Concludes Pilot's Actions Caused Colgan Crash." avweb.com, February 2010. Retrieved: February 3, 2010. ↑ "Accident description: de Havilland Canada DHC-8-200, November 23, 2009." Aviation Safety Network. Retrieved: November 26, 2009. ↑ "Crash: PNG DH8A near Madang on Oct 13th 2011, both propellers oversped." avherald.com. Retrieved: January 5, 2013. ↑ "Aussie pilot survives plane crash in Papua New Guinea which killed 28 others." AAP, October 14, 2011. ↑ Hradecky, Simon. "Accident: Tanzania DH8C at Kigoma on Apr 9th 2012, runway excursion on rejected takeof ." avherald.com, April 9, 2012. Retrieved: April 11, 2012. ↑ "SAS-fly forulykket under landing (Danish)." politiken.dk. Retrieved: December 24, 2009. ↑ "Regarding Scandinavian Airlines flight SK1209. "[dead link] Scandinavian Airlines release, Scandinavian Airlines, September 9, 2007. Retrieved: September 9, 2007. ↑ "Regarding Scandinavian Airlines flight SK2748." SAS Group, September 12, 2007. Retrieved: April 11, 2009. ↑ "Bombardier Makes Recommendations Following Recent Q400 Aircraft Right Main Landing Gear Incidents." bombardier.com. Retrieved: December 24, 2009. ↑ 43.0 43.1 "Regarding Scandinavian Airlines flight SK 2867." yhp.waymaker.net. Retrieved: August 10, 2010. ↑ "Dash 8-fly forulykket i Kastrup." Politiken. Retrieved: December 24, 2009. ↑ 45.0 45.1 "SAS removes Dash 8 Q400 from service permanently." ↑ Moody, Elyse. "SAS Permanently Grounds Q400s After Third Incident. "[dead link] Aviation Week, November 17, 2008. Retrieved: April 11, 2009. ↑ "Havarikommissionen, LN-RDI – Preliminary Report. "[dead link] www.hcl.dk, November 3, 2007. Retrieved: November 15, 2007. ↑ "Plane crash disaster narrowly avoided. "[dead link] The Copenhagen Post, September 10, 2007. Retrieved: December 6, 2009. ↑ "Bombardier settles claim with SAS over Q400 turboprops." CBC News, March 10, 2008. Retrieved: August 27, 2008. ↑ "Bombardier Q200 specifications. "[dead link] bombardier.com. Retrieved: April 6, 2008. ↑ "Bombardier Q300 specifications. "[dead link] bombardier.com. Retrieved: April 6, 2008. ↑ "Bombardier Q400 specifications. "[dead link] bombardier.com. Retrieved: April 6, 2008. Eden, Paul E. Civil Aircraft Today: The World's Most Successful Commercial Aircraft. London: Amber Books, 2008. ISBN 978-1-90570-486-6. Hotson, Fred W. The De Havilland Canada Story. Toronto: Canav Books, 1983. ISBN 978-0-96907-032-0. Kinsey, I. "Dash 8 is Born". Canadian Aviation Magazine, June 1983. Winchester, Jim. "De Havilland Canada DHC-8 Dash 8." Civil Aircraft (The Aviation Factfile). London: Grange Books plc, 2004. ISBN 978-0-83686-903-3. Wikimedia Commons has media related to Bombardier Q-Series.